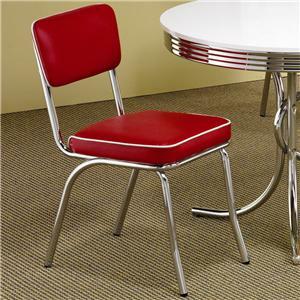 Rewind time and create an entertaining dining experience with the retro designs of this 50's soda fountain bar table and bar stools. 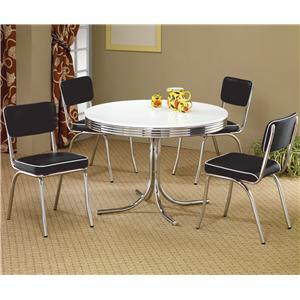 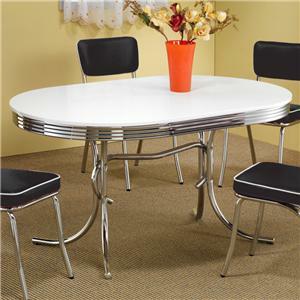 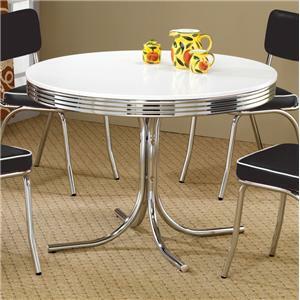 The round table top in a black or white finish, rippled chrome rim, and chrome single pedestal compose a distinctive look. 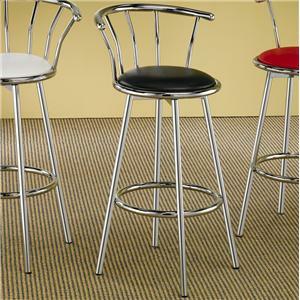 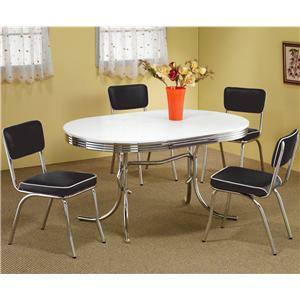 The cool round pub stools feature a chrome plated frame and cushioned seat in rich black, white, or red faux leather, further adding to 1950's diner appeal. 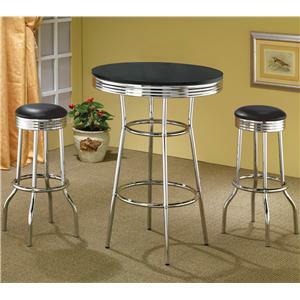 Whether you are playing a card game, enjoying a drink, or savoring a tasty meal, the relaxed designs of this three piece bar group will bring comfort and unique style to your home. 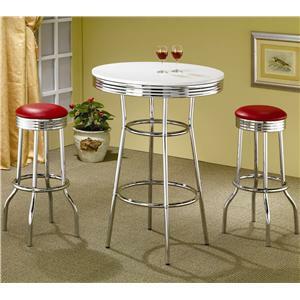 The Cleveland 3 Piece Chrome Plated Bar Set by Coaster is available in the area from FMG - Local Home Furnishing. 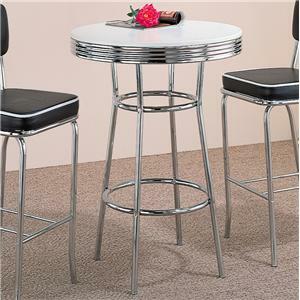 2405 50's Soda Fountain Bar Table 1 30" 30" 41.75"
2408 Soda Fountain Bar Stool 2 19" 19" 31"
The Cleveland collection is a great option if you are looking for Casual furniture in the area. 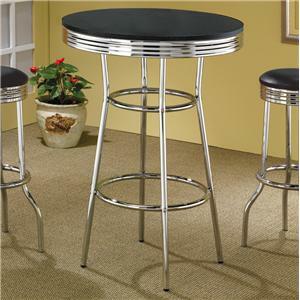 Case Detail Chrome rimmed tops, legs, and pedestals. 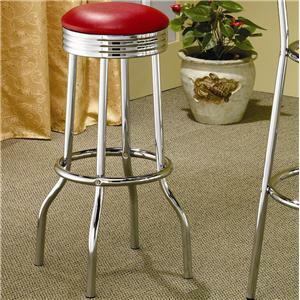 Description: Top Smooth finished tops with chrome trim. 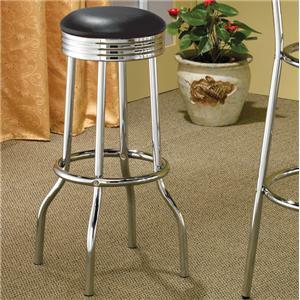 Browse other items in the Cleveland collection from FMG - Local Home Furnishing in the area.